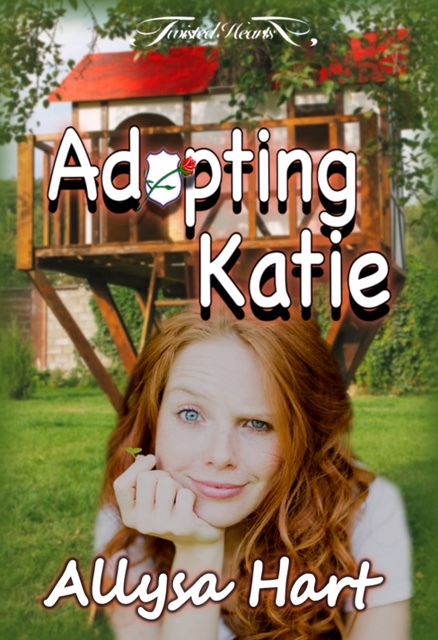 I'm so thrilled to welcome brand-new spanky author Alyssa Hart to my blog to feature her debut novel Adopting Katie. A successful CEO by day, Katelyn looks forward to the minute she crosses the threshold to shed all of her adulthood stress and worries and become a carefree, mischievous little mess maker. Her husband and Daddy, Mark, is one of the most beautiful people, inside and out, that she has ever met. His dominance turns all of her switches, but she learns quickly that he means what he says and testing Daddy is not in her backside’s best interest. Mark is not alone in his endeavor to create a safe and loving environment for Katie. His best friends, Keith and Rose, round out their little family. Being intimately familiar with alternative lifestyles, the couple love and spoil Katie in abundance, but never think twice about turning her bottom red if she steps out of line. Surrounded by her loving Daddy and adoring Auntie and Uncle, Katie learns that the love, safety, and guidance of this family are what help to make her feel complete. Exploring the little girl who lives inside, the one that she has hidden for far too long, she spends her time building elaborate Lego structures and playing in her special tree house that Mark built by hand. When tragedy strikes, Katie's idyllic life is shattered and it takes all of the love, support, and discipline of her family to pick up the pieces and put them back together. However, will love and spankings be enough? Katie is not convinced. She doesn’t believe anything will ever be okay again. “What? Why?” Katie’s stunned expression expressed her confusion. With a very unladylike noise, Katie stomped to the corner where she crossed her arms and seethed with anger. Engulfed in total immersion of the dynamic allowed her vulnerability to surface, and gave Rose the chance to prove that Mark’s death had not changed who Katie was or the commitment she and Keith offered her. I am a full-time mom to a sassy, strong-willed, loveable little girl. Okay, so she is all me. I am on the wrong side of 30, and I have been married to my best friend for over eight years. Like most couples, we have our ups and downs, but I could not imagine doing life with anyone else by my side. We are Southern California transplants, currently residing in a very rural part of the east coast. I have two crazy dogs that I adore, even though they drive me out of my ever-loving mind, most days. I have recently rediscovered my love of words and decided to become a writer. My first story is my heart and soul, and it reaches into the depths of all that is me. I also create covers, promos, and logos for authors. I have met some amazing friends on this journey that I now happily call family. Without my family members, whether biological or chosen, I would not be half the person I am today. Their constant love and support keep me afloat.